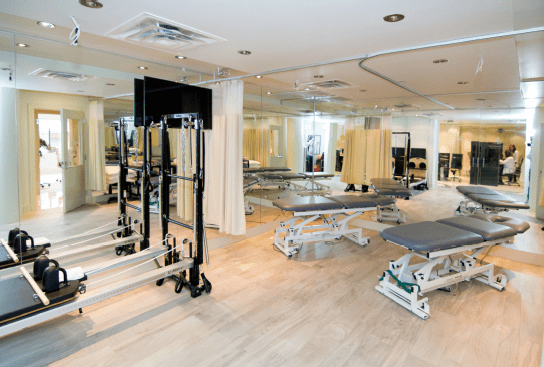 Tucked away in Yorkville Village, sits a clinic that is a one-stop spot for virtually all types of conventional, alternative and other complementary medicine. From family medicine, to chiropractic and naturopathic services, to in-depth health analysis, clinicians work together under The Toronto Clinic umbrella created by Internist, and Geriatrician, Dr. Fabio Varlese at the Toronto Clinic. 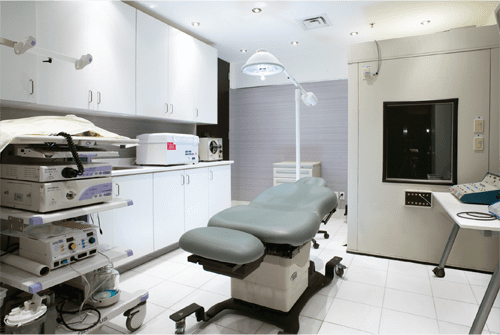 Dr. Varlese opened The Toronto Clinic over a decade ago, with the vision to offer physician-managed medical services, via a paid-for membership, catering mostly to companies and busy executives. Members undergo an in-depth health assessment, which may include in-house diagnostic and laboratory testing; cardiovascular risk assessment; wellness and stress assessment and much more. Members meet with a team of clinicians and are presented with a personalized and comprehensive health care plan. Dr. Ryan Albert, Chiropractor with the Yorkville Sports Medicine Clinic – within The Toronto Clinic, joined the team earlier this year. He proudly gives a tour of their space, which consists of many examination rooms, several treatment rooms, a gym with impressive equipment, change room and shower area, and the IV lounge area. He offers me a massage, and a chiropractic check-up after. I’m introduced to Cecelia, Registered Massage Therapist, and I’m whisked away for a massage. After a very in-depth discussion of everyday activities and my exercise routine, we agree that I need a lot of work on my legs. She is small, but mighty and I wondered how I would ever be able to walk again, but I hopped off the table with fresh and energized legs. Magical! I visit with Dr. Albert after, and discuss my positive experience. I wonder if it’s possible to gain her services, without a membership. He explains that he treats patients outside of The Toronto Clinic membership, as many of the clinicians do. All clients are able to access their wide-range services including; weight loss programs, chronic pain care, PRP Injections, Stem Cell Therapy, custom orthotics and much more. While I’m being treated for a leg injury, Dr. Albert explains that most patients he sees are usually there for an injury, and adds that coming to see him for a full assessment and treatment before a crisis occurs, is just as important as having an annual physical with your family doctor. As his website states, “Dr. Albert’s goals, in practice, are two-fold: The first is to help others achieve a greater state of health and admiration for their bodies than they are currently experiencing. The second is to educate and promote on the concept of proactivity, in other words, making positive or necessary changes before crisis strikes.” He listens carefully, and makes gentle suggestions to improve my health and well-being, generating a positive vibe that all will be right in the world, with his guidance. He introduces me to the Clinic’s Naturopath, Dr. Vivian Kwan. I ask how Functional Medicine and Naturopath services complements the conventional medicine side of The Toronto Clinic. She offers an assessment and treatment, including IV therapy. After the most in-depth assessment of my medical history that I have ever endured, and a thorough explanation of the possibilities of how functional medicine could help reverse and heal several stomach issues that have been ailing me for years, I get settled into a chaise lounge with a furry blanket and ready myself for IV therapy. IV Lounge area. Relax during your infusion. IV therapy treatments have increased in popularity over the past decades with celebrity endorsements, and most commonly, as a cure for hangovers. Dr. Kwan doesn’t dismiss that IV can help a hangover, but her practice treats patients who are most-likely lacking vitamins and minerals from their daily intake. IV therapy is delivered directly into the bloodstream, bypassing the digestive system, resulting in higher absorption and fast delivery. Based on my assessment, Dr. Kwan designs me a personal cocktail of vitamins. I am hooked up to the IV, my vitals are recorded, and I try unsuccessfully to dose off. My vitals are checked twice more, and before I know it, my bag of nutrients is empty and I’m on my way. I leave feeling the same, and I’m disappointed. I thought I would feel energized, but I leave relaxed and realize that I wasn’t infused with caffeine, but with nutrients that will help my overall well-being. That night, I experienced a deep sleep and suddenly I want IV therapy every day. I attend another session, with an infusion to help muscle-repair. Again, I leave feeling unchanged, but days later, during a stretch session, I am able to go into much deeper stretches and I feel that my recovery after a long run is 50 per cent better. I can see how a membership to The Toronto Clinic would be a worthwhile expenditure. Advocating for ourselves through our healthcare system can be tiresome. 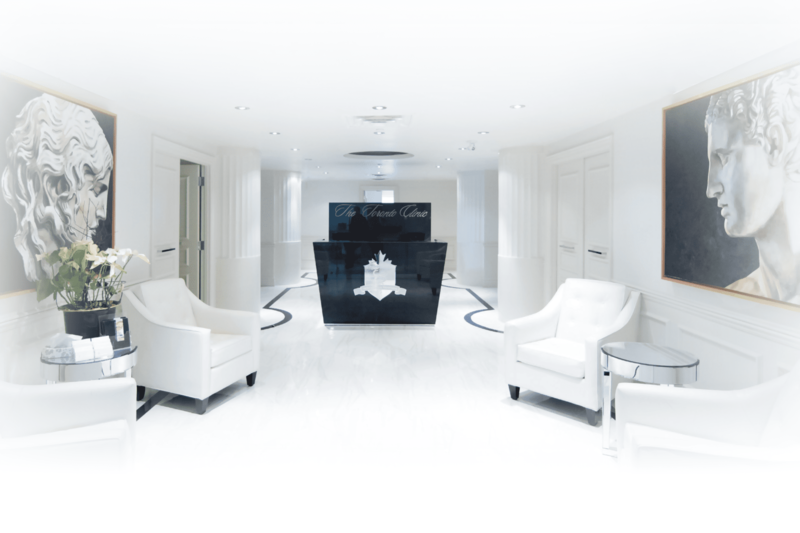 If you have the means, a membership is only steps away at the clinic in Yorkville Village, where a whole new outlook on your health and well-being awaits.